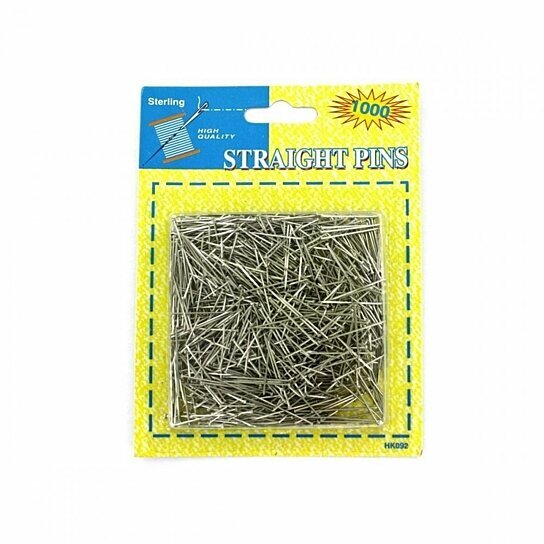 This pack of straight pins is a sewing kit must have! Each pack comes with 1000 pins. Perfect for keeping hems in line, pattern pieces together and more. Comes packaged in a blister pack with hanging hole. Each pin measures approximately 1" long.